I am absolutely delighted that my Rt Hon. Friend the Chancellor of the Exchequer has announced in his Budget Statement today that the Royal Mint will be issuing commemorative 50p coins to celebrate us leaving the EU! 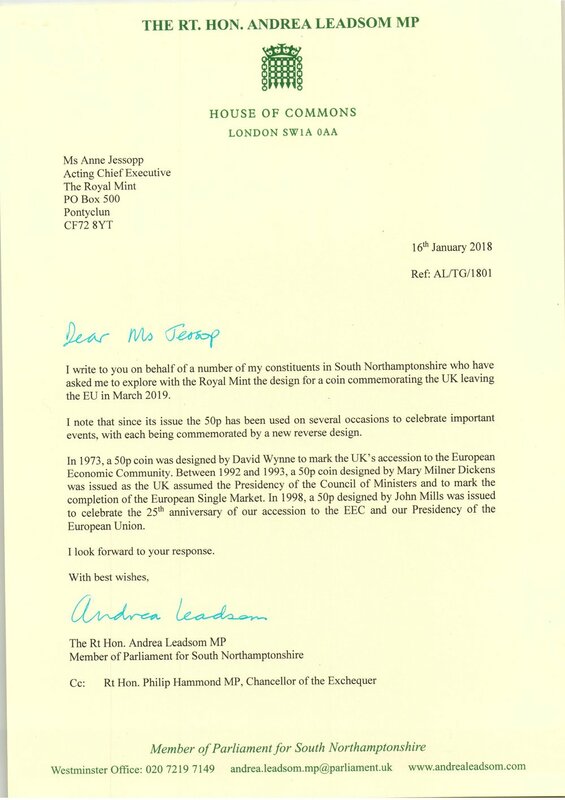 I wrote to Anne Jessopp, the then-Acting Chief Executive of the Royal Mint, back in January to ask her to consider such a coin, copying the Chancellor. It is right and proper that we mark this historic occasion, as we take back control of our laws, our borders, and our money, and chart a new and exciting future as an independent free-trading outward-looking nation.